Not only in India, Dhadak is performing well in international markets as well. Till Monday, Dhadak had collected Rs 9.09 crore from overseas box office. Mondays are makers or breakers of a movie's success. It paves way for the week ahead, indicating how the movie will fare till the next weekend. Janhvi Kapoor and Ishaan Khatter's Dhadak seem to have passed that crucial test. Moving forth, Dhadak continues its consistent run. On Monday, Dhadak earned Rs 5.52 crore, while on Tuesday it made Rs 4.76 crore, taking the total collection of the movie to Rs 43.95 crore in India. While it is a dip, it is not a significant one from the opening weekend, where it collected Rs 8.71 crore on Friday, Rs 11.04 crore on Saturday and Rs 13.92 crore on Sunday. #Dhadak is trending very well on weekdays... Biz on Mon and Tue indicates it has sustained beyond its opening weekend... Emerges a HIT... Fri 8.71 cr, Sat 11.04 cr, Sun 13.92 cr, Mon 5.52 cr, Tue 4.76 cr. Total: â‚¹ 43.95 cr. India biz. Some territories yet to report. 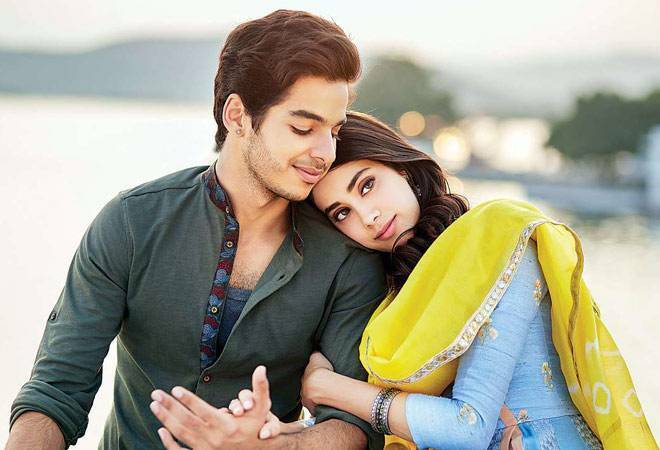 Dhadak has been kept afloat by the newcomers Janhvi Kapoor and Ishaan Khatter. While their performances have received mixed reactions, audience is still curious to watch the legendary Sridevi's daughter and Shahid Kapoor's brother on screen. Dhadak's opening day business made more than the opening day collections of Karan Johar's last movie with newcomers, Student of the Year. In fact, Dhadak is well set to overtake the collections of Student of the Year and Kaho Naa...Pyaar Hai, two of the highest-grossing Bollywood movies with newcomers. While Dhadak may soon overtake the collections of movies like Ishaqzaade, Band Baaja Baaraat, Vicky Donor, Jaane Tu...Ya Jaane Na it has another obstacle on its way. The common denominator of box office hits with newcomers such as the aforementioned movies, along with older ones like Qayamat Se Qayamat Tak and Maine Pyaar Kiya is the content and that these movies have been seared into popular culture. Not only are they box office hits, they are very popular amongst movie-buffs. Dhadak, an adaptation of Nagraj Manjule's 2016 Marathi hit, Sairat, did pick the right story to tell but was unable to deliver. Critics have mostly criticised the movie and its dismissal of caste politics - the nucleus of Manjule's movie. So, while box office collections and critical acclaim go their own separate ways, both these parameters together make a movie memorable. Dhadak, however, seems to have done well on only one front.